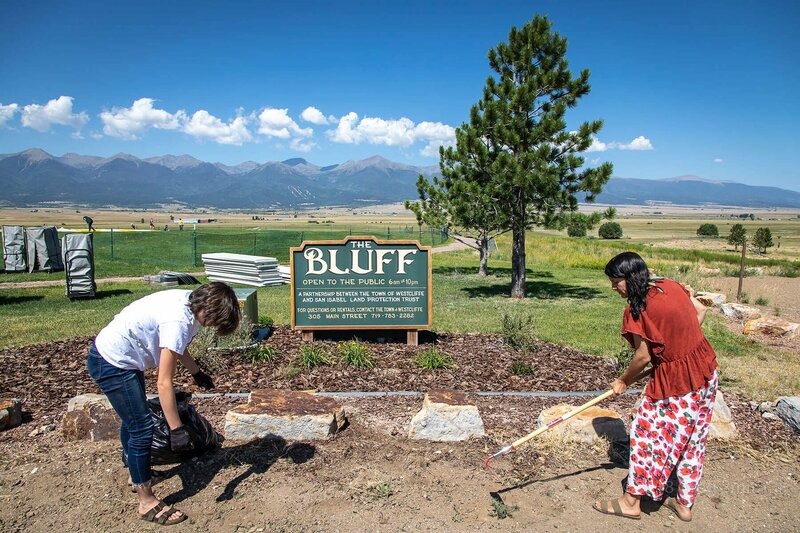 Our mission is to protect and enhance The Bluff overlooking our panoramic mountain valley, which provides a window onto the community’s ranching heritage, and creates a venue for recreational and cultural events for the use and enjoyment of residents. The Bluff Park is co-managed by San Isabel Land Protection Trust and the town of Westcliffe. Together, we are working to manage and improve the site, with ongoing landscaping projects and other efforts. That includes establishing perennial, drought-tolerant and deer-resistant plantings and using the park as an outdoor classroom for local students. Volunteer help and supporting donations are welcome. To learn more, visit sanisabel.org/land-water-protection/the-bluff-park.